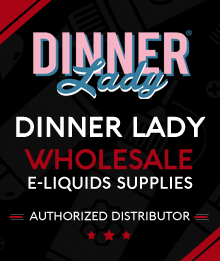 Dinner Lady is a Premium E-liquid brand from the UK, known for its carefully crafted blends of vaping Juice. Dinner Lady has a range of Brands under its umbrella, Dinner Lady, Tornado and 11 11. Try out these premium E-liquids to find out whats so different about these one, I am sure you will not be disappointed.